Rachel Burch Dartmoor Photography: Tree At Leather Tor, Dartmoor. 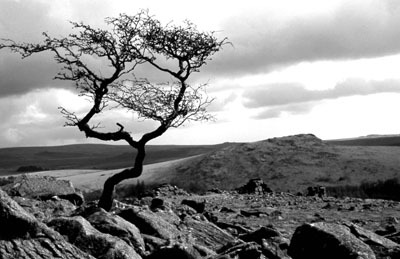 Tree At Leather Tor, Dartmoor. Taken by the edge of Leather Tor, looking down towards Sheepstor.